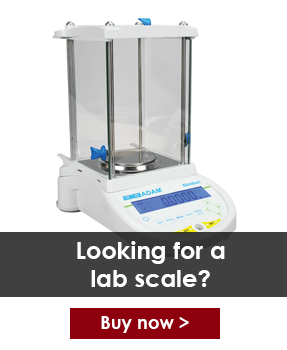 Scaletec offer a wide range of food scales for a variety of commercial and lab-based applications including food production, food testing and catering. 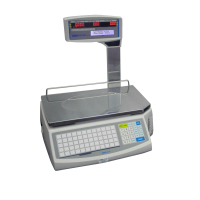 Types of food scales we stock include: price computing scales, washdown stainless steel scales and moisture analysers. Our digital baking scales are perfect for weighing ingredients such as flour and sugar in large quantities, whilst offering a wider range of applications than the standard digital kitchen scale. Suitable for small and large-scale bakeries, restaurants and patisseries. Butcher and meat scales are ideally suited to butcher shops, delis and fishmongers for ensuring meat is accurately weighed, whilst retaining health and safety standards. When selling food products by weight it is essential to use NRCS certified trade approved scales. Moisture analysers are typically used for moisture determination in food products and are used to ensure that certain products have the correct amount of moisture to ensure taste, whilst preventing the premature growth of bacteria. 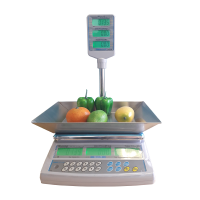 For more information on our range of digital food scales, please contact us. The WS bench portioning scale comes with a stainless steel weighing pan that is durable and easy-to-clean. 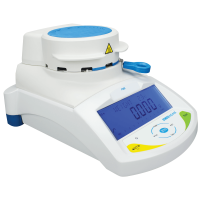 Includes percentage weighing applications suitable for accurate food portioning in restaurant kitchens. Adam Equipment PMB moisture analysers set a new standard for effortlessly recording moisture test results. The PMB uses a circular halogen heater lamp to allow for even heating and drying of the sample to make sure the test results are accurate. Ideal for measuring the moisture content in grain, wheat, cosmetics and food products. 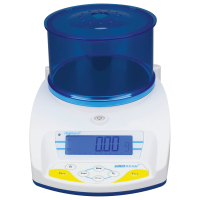 Q: What is the difference between a standard digital kitchen scale and a professional food scale? A: As you would expect, most standard digital kitchen scales are much cheaper than professional food scales and offer much less in terms of features, applications and precision. 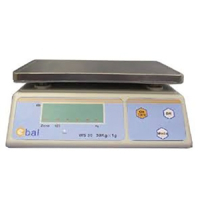 Whilst both types of scale will usually come with standard features such as gram and kilogram measurement for portion control, professional food scales used in bakeries often use specialist formulation and percentage weighing software that that can quickly measure larger batches of ingredients for more recipe-based industrial baking. In addition, professional food scales may feature a sturdier IP-rated stainless steel construction for effective waterproofing and easy cleaning that is necessary in food preparation environments.